July 1st baby – better late than never ! 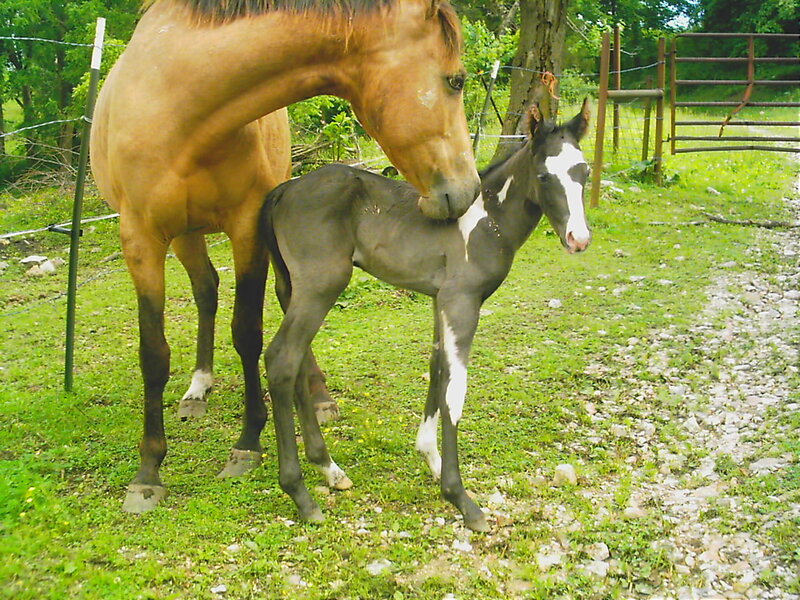 He’s a Dun colt out of a Dun inheritable brindle bred mare and a Grullo colt out of a brindle mare. 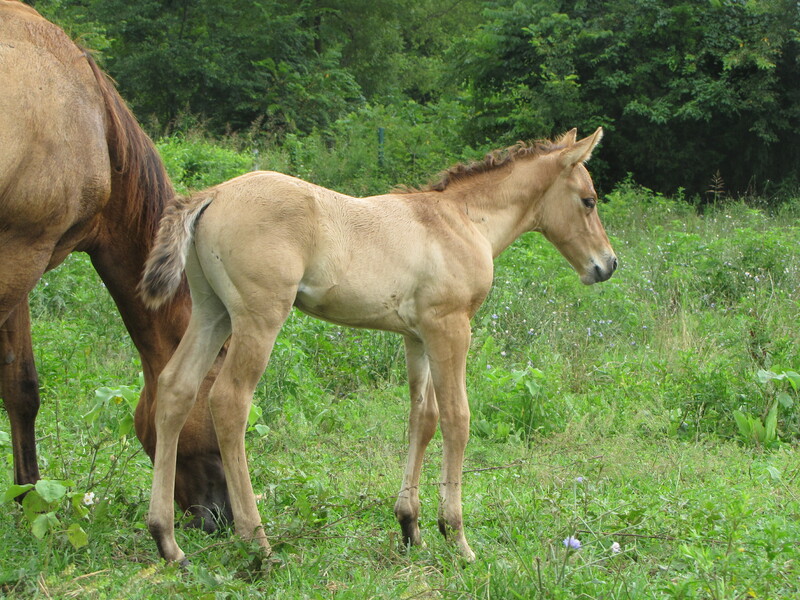 This is the mares first foal and he appears to be in good shape and doing well. 2 wks old in this picture. 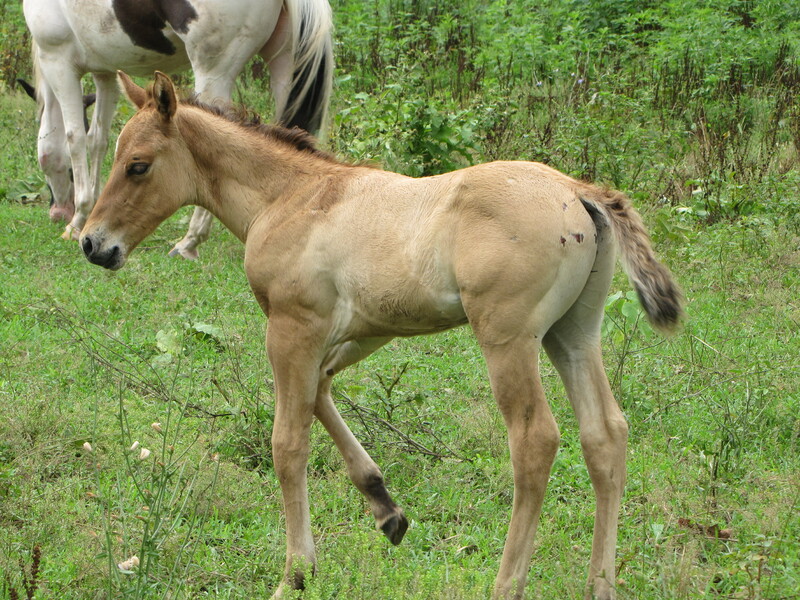 2010 APHA Filly either smokey black or smokey buckskin out of the inheritable brindle line. 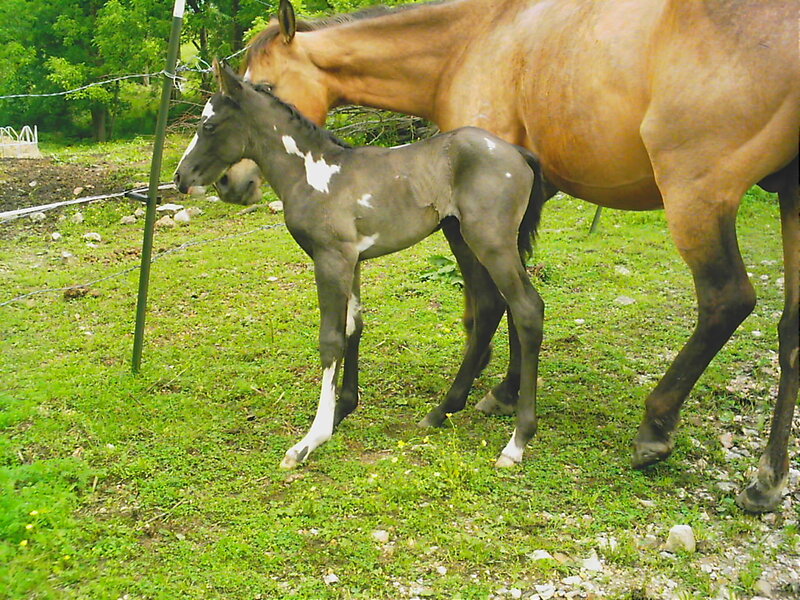 This filly is Beating The Odds as she is out of a APHA breeding stock Buckskin mare and her sire is a AQHA Grullo and she came out with color and I wasn’t expecting that (-: Now that I have painted color, just need to wait and see if she will show the inhertiable brindle stripes.